Bordering the Gulf of Guinea in West Africa, Ghana is the former British colony of the Gold Coast. Ghanaian children grow up mainly exposed to their local tribal languages, such as Ga, Twi and Ewe, but English remains the country's official uniting language, and is needed to communicate with fellow Ghanaians in education, business, and many other aspects of life. As a teaching volunteer you can therefore have a huge impact, arguably even more so than in a country that does not have English as its mother-tongue! It is important that volunteers taking part in a teaching project in Ghana have a good command themselves of written and spoken English. 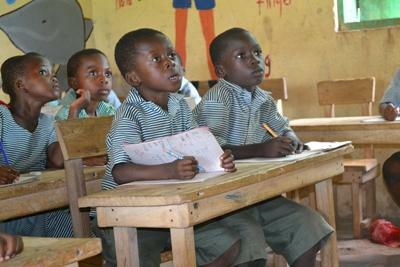 Ghanaian schools are often understaffed and poorly resourced, but you can help to improve this situation by volunteering. You can gain work experience teaching at primary or secondary schools overseas and no TEFL or other formal teaching qualification is required. 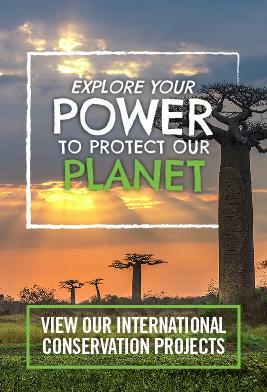 Whether you want to volunteer teaching during your gap year, career break or holiday you will have a role to play and your efforts will be greatly appreciated. The impact you have on the lives of your students will be obvious and long-lasting, but you will also be part of a much wider volunteer network, which is making a really positive contribution to the communities in which we work. With placements based mainly in the semi-rural Akuapem Hills, but also available in Cape Coast, Teaching opportunities in Ghana are many and varied. Most of our placements are in Primary Schools in and around the traditional, Akuapem Hills area, about an hour north of Accra. You'll generally be asked to take the timetabled English classes for a range of ages, or alternatively be assigned to one particular class and assist with all subjects throughout the day. Your encouragement, praise and some fun and interactive lessons are often all that are needed to spark an interest in learning and a desire to try harder. Your friendly Ghanaian teaching colleagues act as supervisors and ensure that you feel happy with your classes. They will have a good command of the English language themselves which will make your life that much easier! Rural placements are available if you wish to do your placement somewhere that little bit more remote. All we request is that you are prepared for slightly more basic facilities in your host family's accommodation. We are very eager for our volunteers to gain experience of this sort, living in a smaller community and helping out at schools that would otherwise miss out from the benefits a volunteer teacher brings. We also work with several primary and junior secondary schools which rely almost completely on our volunteers for English-teaching. These schools allow our volunteers to also teach a range of other subjects to younger children including basic literacy, maths, art, drama and music. In fact, French, geography, music, sport - particularly football - drama, art, and many other extra-curricular subjects are always welcome additions to the curriculum in most of our placements. Provided you can offer the basic provision of conversational English lessons, our partner schools are keen to let you develop the children's' interests in other areas too. Teaching volunteers in Ghana receive regular workshops run by the local staff. The workshops will give you an overview of the Ghanaian educational system and more information about the school where you’re working. You will receive advice and suggestions regarding lesson planning and activities or games to include at your teaching placement. The workshops may also cover topics like cultural differences, classroom management techniques and communication tips. 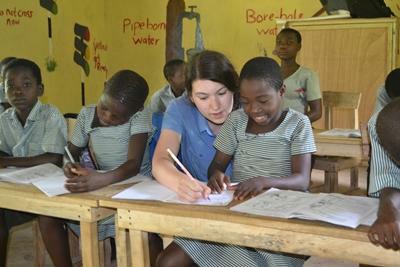 During the main school holidays in August volunteers work on a summer school programme in the Akuapem Hills. The programme is very popular with local children and volunteers teach a range of subjects of their choice. You can join a Teaching project in Ghana for two or three weeks if you don't have time to join us for four weeks or more. This project has been selected by our local colleagues as being suitable for short term volunteering for both the host community and the volunteer. Although you will gain a valuable cultural insight and work intensely within the local community please be aware that you may not be able to make the same impact as someone volunteering for a longer period. Volunteers who can only join us for two weeks will be paired up with other longer term teaching volunteers. If you have an interest in IT then you could teach some basic computer skills on our IT Project in Ghana. Just tell us what you're good at and we'll place you accordingly. Whatever your skills, as a volunteer in Ghana you will make an important contribution and your time away will be something you remember for the rest of your life. If you have qualifications or experience in this field then we can make use of your skills. Read more about the opportunities for skilled volunteers in Ghana. You can read more detailed information about the aims of the project in our Ghana Teaching Management Plan.